TUESDAY, Dec. 11, 2018 -- An antibacterial called triclosan is common in dust and could result in dust-dwelling bacteria becoming antibiotic-resistant, researchers report. "There is this conventional wisdom that says everything that's in dust is dead, but that's not actually the case. There are things living in there," said study leader Erica Hartmann, an assistant professor of environmental engineering at Northwestern University in Chicago. The researchers analyzed dust samples from 42 athletic facilities in the Pacific Northwest region. In dust with higher concentrations of triclosan, bacteria were more likely to have genetic changes indicating antibiotic resistance. "Those genes do not code for resistance to triclosan," Hartmann explained in a university news release. "They code for resistance to medically relevant antibiotic drugs." Triclosan was widely used in antibacterial hand soaps and cleaning solutions until 2017, when the U.S. Food and Drug Administration banned such uses due to concerns about a number of dangerous side effects, including hormone system disruption. However, triclosan is still used in some toothpastes and several other products, the researchers said. "There are many products with triclosan that are not labeled because they are within the purview of the EPA [Environmental Protection Agency] instead of the FDA," Hartmann said. "These things might include antimicrobial gym equipment, such as yoga mats and textiles." 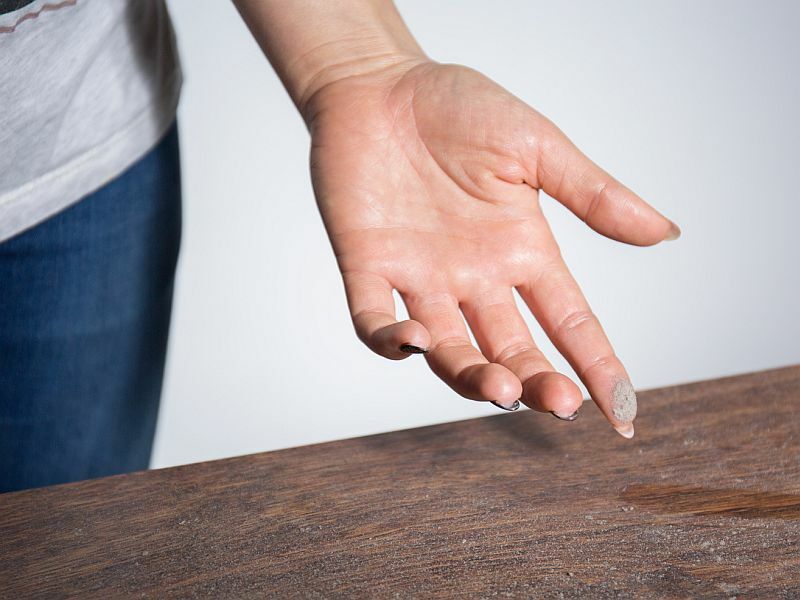 Hartmann noted that soaps and cleansers still contain other antimicrobial chemicals, including benzalkonium chloride, and her team is examining how it affects bacteria in dust. Antibiotic resistance is a serious public health threat. Nearly 25,000 people in the United States die each year from antibiotic-resistant infections, according to the U.S. Centers for Disease Control and Prevention. One way to reduce that threat is to stop using antimicrobial products, according to Hartmann. "The vast majority of microbes around us aren't bad and may even be good," she said. "Wipe down gym equipment with a towel. Wash your hands with plain soap and water. There is absolutely no reason to use antibacterial cleansers and hand soaps." The study was published Dec. 11 in the journal mSystems.